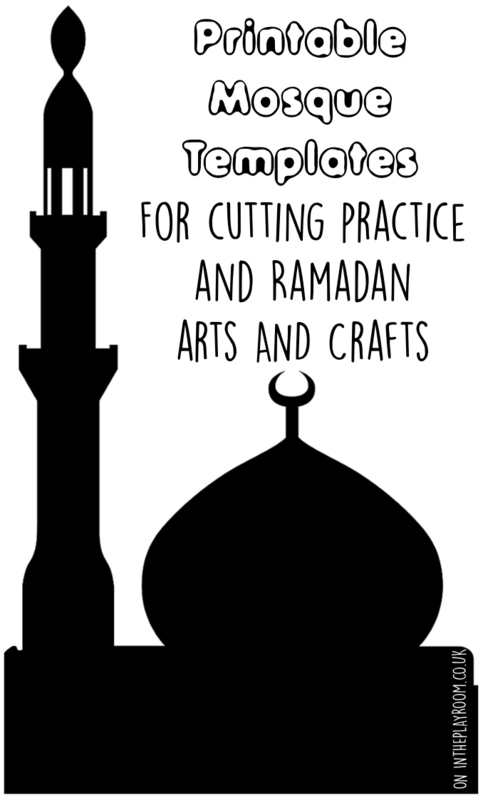 One of the easiest Islamic themed crafts for kids is to make mosque pictures by cutting and sticking using mosque silouhettes. 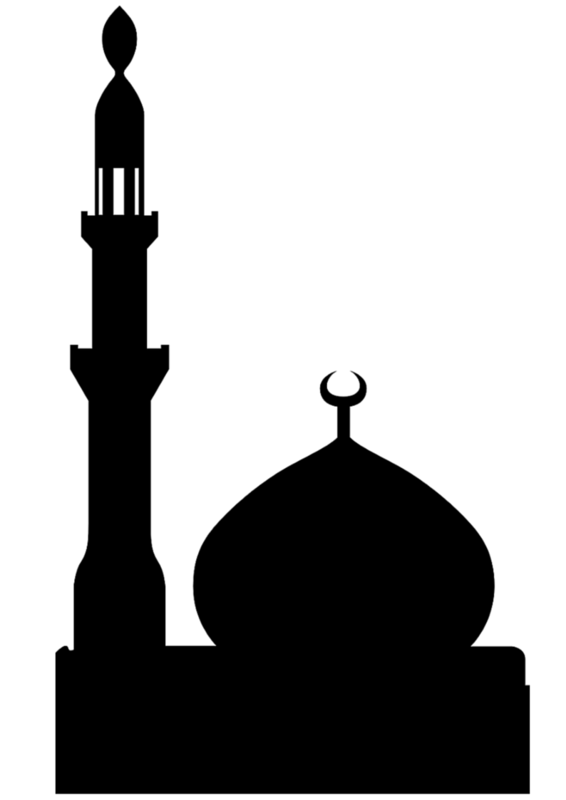 The distinctive shape of the domes and minarets can make some really striking pictures really easily, and even younger toddlers can get involved. 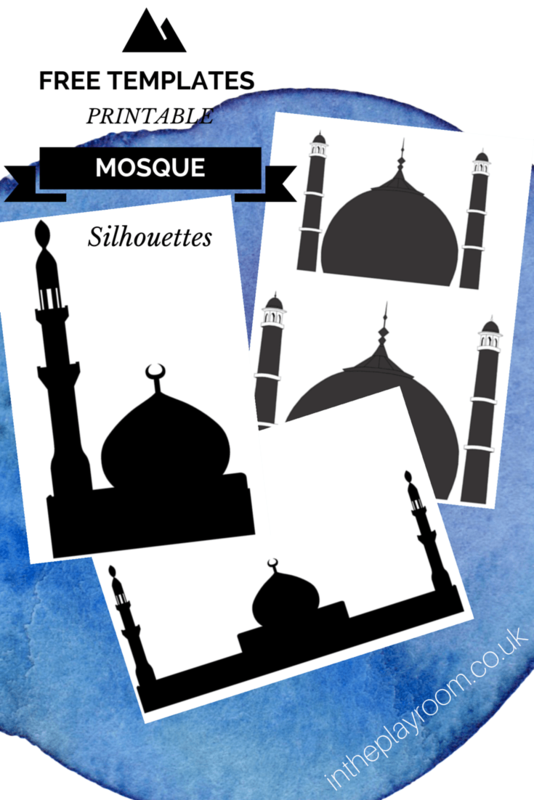 Today I’m sharing some free printable mosque outline templates that you can use for your own mosque pictures. Download the pdf file at the end of the post and then print out all of the designs, or select the specific ones that you want. 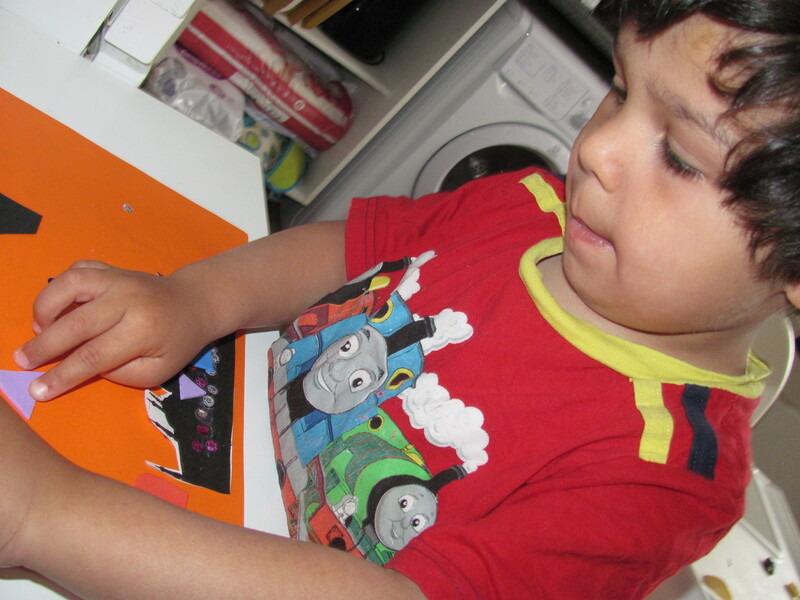 Below are some old pictures of my boys making pictures with templates like these when they were 1 and 3 years old. 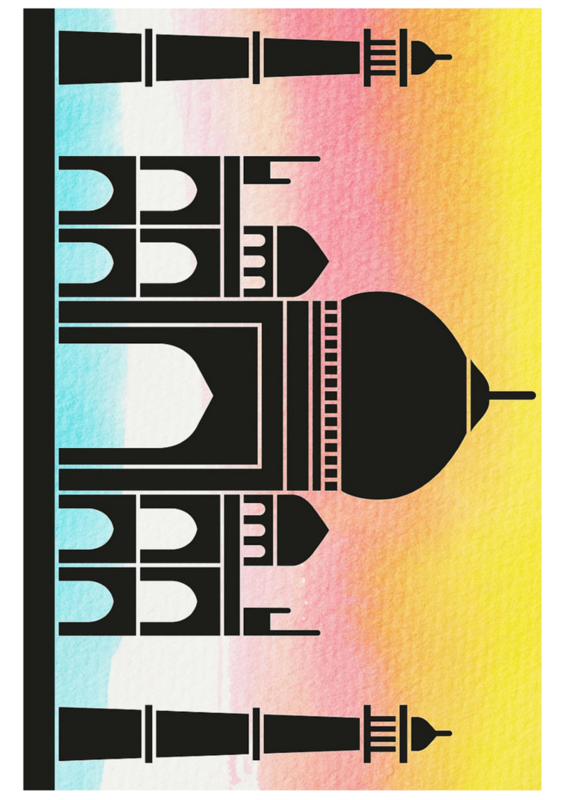 They stuck their silouhettes onto orange background to look like a sunset – Masjid at Maghrib time! With the slightly older or more advanced children, you could make this look really effective maybe by laying different shades of ripped tissue or paper in yellows and oranges to make the background more detailed. We have some versions of this recently using watercolours to create a more detailed sunset background. I cut some star and moon shapes for them to glue on too, and helped my 3 year old to find star shapes among the sticky foam shapes, to help him with learning to recognise the matching shapes and group them together. 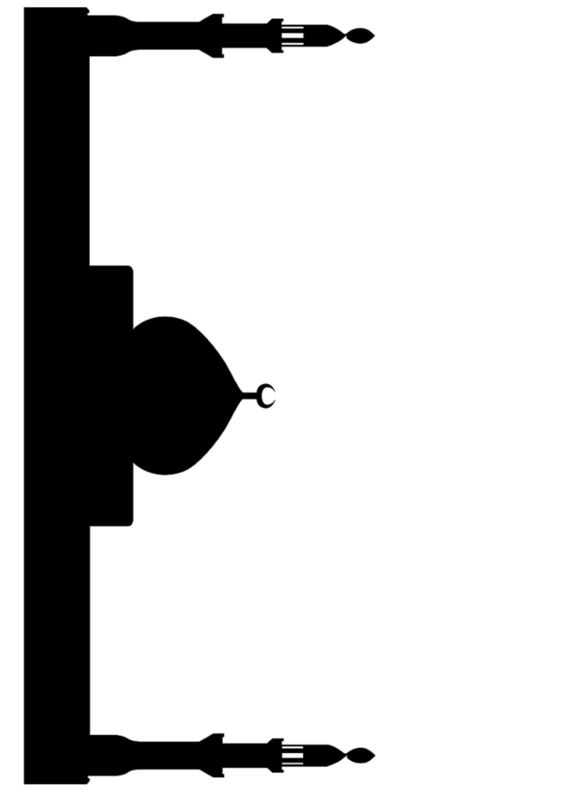 He then added two circles (wheels) so that we could draw a car parking outside the mosque. It’s very simple, but they have enjoyed it. My younger two boys just love sticking things! 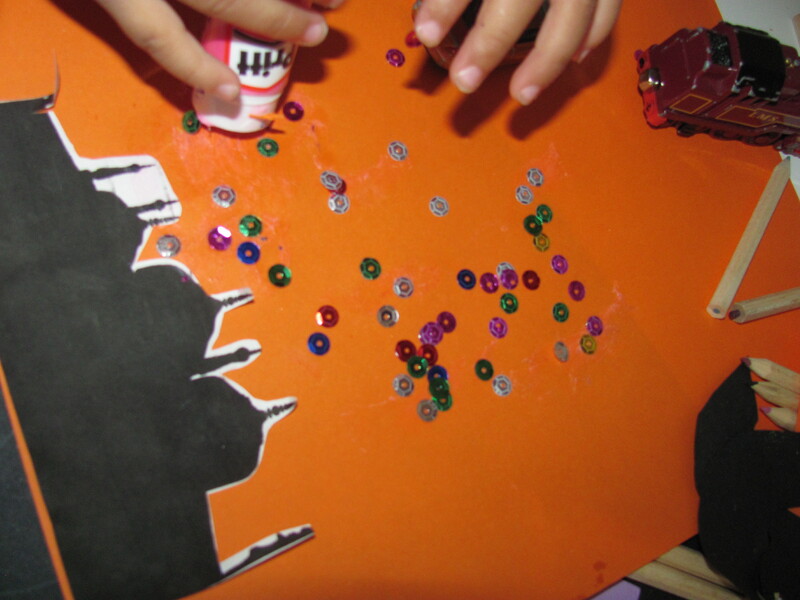 You can keep the the cut silouhettes ready to make a a very quick and easy activity, or let the kids cut them out to work on their fine motor skills. 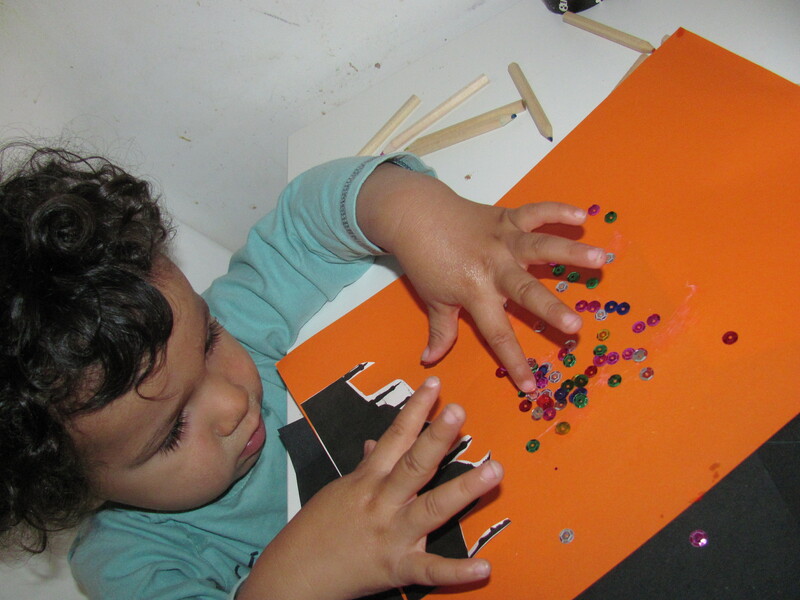 Cutting gives a great fine motor work out. And don’t forget to pin these templates so that you can come back to them! 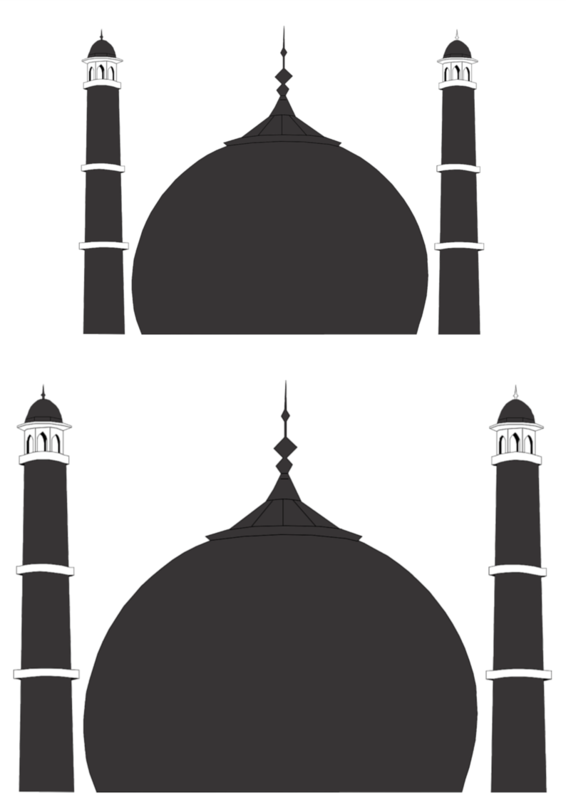 How did you create your silhouette? Did you put pieces together? I can’t seem to get the same one.